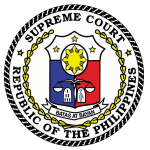 On January 13, 2009, then Sandiganbayan Presiding Justice Diosdado M. Peralta was named as Supreme Court Associate Justice. He is the third Sandiganbayan Presiding Justice to be appointed to the High Tribunal. Justice Peralta finished his Bachelor of Science degree at the San Juan de Letran in 1974 before pursuing law at the University of Santo Tomas Faculty of Civil Law, where he graduated in 1979. On April 9, 2010, he was conferred the degree of Doctor of Laws Honoris Causa by the Northwestern University, Laoag City, Ilocos Norte. His government service started in 1987, when he was appointed Third Assistant City Fiscal in Laoag City and, later, assigned to the Prosecutor’s Office in the City of Manila in 1988. As trial prosecutor, he was awarded the Outstanding Public Prosecutor of Manila for the year 1990 – 1991 by the City of Manila on June 21, 1991, and the Most Outstanding Public Prosecutor of the City of Manila on June 9, 1994 by the Department of Justice. Later, he became the Assistant Chief of the Investigation Division, Office of the City Prosecutor. On September 22, 1994, he was appointed Judge of the Regional Trial Court, Branch 95, Quezon City, which was designated as Special Criminal Court on Heinous Crimes and, later, Drugs Cases. As trial court Judge, he was the recipient of several commendations, two of which were the Special Centennial Awards in the Field of Criminal Law, given by the Integrated Bar of the Philippines and the Supreme Court during its Centennial Celebration on June 6, 2001, and the Judicial Excellence Awards 2002 (Chief Justice Ramon Avanceña Award for Outstanding Regional Trial Court Judge), given by the Foundation for Judicial Excellence on June 14, 2002 which, providentially, was also the same day when he was appointed Associate Justice of the Sandiganbayan. On March 28, 2008, he became the Presiding Justice of the Sandiganbayan. He was a Bar reviewer, professor, lecturer, and resource person in Criminal Law, Criminal Procedure, Remedial Law, and Trial Technique in notable universities. In recognition of his vast contribution in the field of law, his alma mater gave him several citations, among others, theAward of Distinction and Award in the Foundation for Judicial Excellence on November 23, 2002 for his appointment as Associate Justice of the Sandiganbayan, Most Outstanding Alumnus of the Year Award in 2008 for being the Presiding Justice of the Sandiganbayan, and also The Outstanding Thomasian Alumni Awards for Law (TOTAL Awardee in Law/Justice) on August 2, 2008, which was the highest award bestowed by the University of Santo Tomas to an alumnus. Other government and civic groups honored him with the Sectoral Ulirang Ama Awardee on Law and Judiciary given by the Ulirang Ama Foundation on June 18, 2006, and the Outstanding Citizen in the Field of Law and Government Service on February 7, 2004 by the City of Laoag. He attended conferences and study programs abroad, among others, Senior Seminar on Financial Underpinnings of Terrorism sponsored by the U.S. State Department in Washington, D.C., U.S.A., from August 6 to 9, 2001; PHILJA Study Tour to Canada with the National Judicial Institute, a JurisCanada project, from June 5 to 20, 2005; Program of Instruction for Lawyers-Program on Negotiation in Harvard Law School, Cambridge, Boston, Massachusetts, from June 9 to 13, 2008;Australasian Conference of Planning and Environmental Courts and Tribunals (ASPECT) in Sydney, Australia, from August 31 to September 3, 2010; and Knowledge Sharing and Exchange Visit with Judiciaries of Spain, Italy, the Netherlands and the International Court of Justice, in Spain and the Netherlands, from July 5 to 17, 2011. 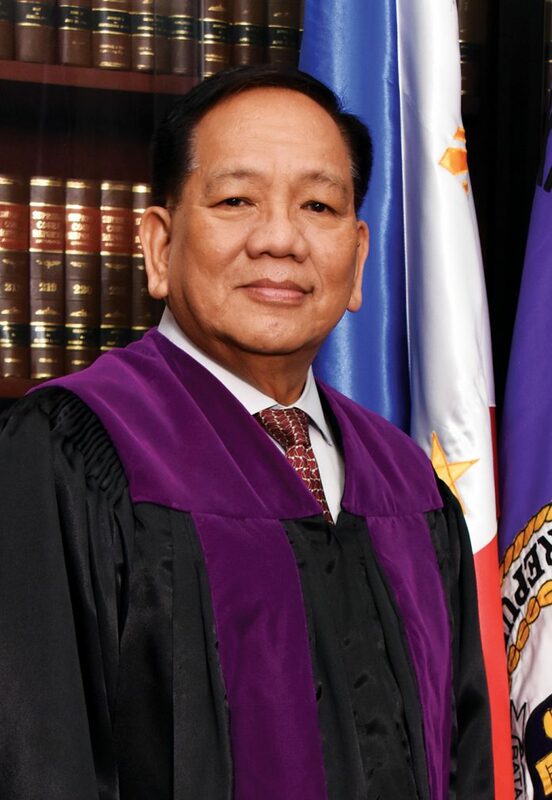 As an Associate Justice of the Supreme Court, he is the Chairperson on the Committee on the Revision of the Benchbook on the Application, Computation, and Graduation of Penalties. He is a member of the following committees, namely, Committee on the Revision of the Rules of Court; Committee on the Revision of the Philippine Benchbook for Trial Court Judges; Sub-Committee on the Rule of Procedure for Environmental Cases; Judicial Reform Support Project Management Committee and Chairperson of its Component Working Committee for Component D; Committee on Legislative-Executive Relations (LERCOM); Sub-Committee on Evidence; Society for Judicial Excellence; Sub-Committee on the Internal Rules of the Supreme Court; and Sub-Committee on the Rule of Procedure for Intellectual Property Rights Cases. He presently sits as a Member of the House of Representative Electoral Tribunal. He is a member of the Corps of Professors, Department of Criminal Law of the Philippine Judicial Academy (PHILJA) of the Supreme Court where he is the regular lecturer and resource person in the seminars conducted for judges and Judiciary officials and also, in the Mandatory Continuing Legal Education program for lawyers in the country and those based abroad.